The annual “I am a UC Entrepreneur” campaign celebrates and recognizes the innovation and entrepreneurial accomplishments of the university's student and alumni community. 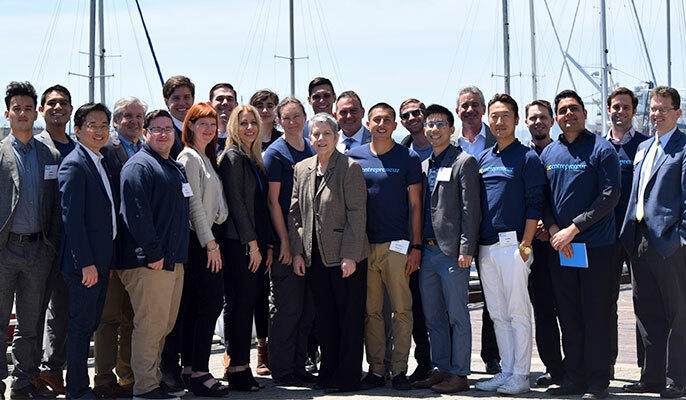 In 2016 nineteen UC entrepreneurs had the opportunity to meet some of Silicon Valley's leading venture capitalists at a special lunch hosted by UC President Janet Napolitano and Christine Gulbranson, Senior Vice President for Innovation and Entrepreneurship. Apply to the 2018 UC Entrepreneur Pitch Competition! Enter our contest by December 12th, 2018 for a chance to network and pitch to 700+ corporate VCs!